Malik’s star is rising. The village boy’s bravery nets him an award far beyond his station — the chance to serve the Moon Daughter’s Temple for a year. But serving a Goddess isn’t all it’s cracked up to be. 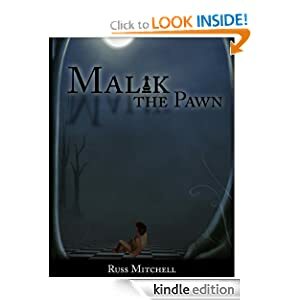 Malik finds himself possessed and in possession of dangerous secrets, as devastating changes come to a world he hardly comprehends, and he gradually realizes that the Gods are a lot closer than he ever thought they were. As he attempts to gain some control over his destiny once more, Malik will travel with a bitter, taciturn huntress and a healer who’s chained to a past he can’t escape. At stake are the fates of peoples — and that of his soul. “Malik” comes with Happycrow’s famous “Beer You Back Guarantee.” If you buy my book and absolutely hate it, I’ll make good your loss by buying you a beer for having suffered through it. That’s an offer you won’t be getting from Simon & Schuster!